Brexiteer, common sense centrist, East of England MEP (SDP). These are my opinions. You are not obliged to agree with them though they are, in fact, correct. Conosci Patrick Patrick O'FLYNN? Che ne pensi del suo lavoro? Sei Patrick Patrick O'FLYNN Eurodeputato al Parlamento europeo? 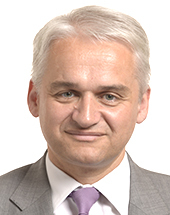 Sei Patrick Patrick O'FLYNN Eurodeputato al Parlamento europeo? Gestisci il tuo nuovo sito web in 2 minuti.